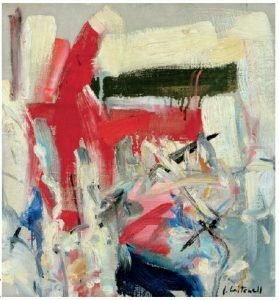 Art Through Ages – what is its subject? understanding of the work. Art historians traditionally separate pictorial subjects into various categories, such as religious, historical, mythological, genre (daily life), portraiture, landscape (a depiction of a place), still life (an arrangement of inanimate objects), and their numerous subdivisions and combinations. Iconography—literally, the “writing of images”—refers both to the content, or subject of an artwork, and to the study of content in art. By extension, it also includes the study of symbols, images that stand for other images or encapsulate ideas. In Christian art, two intersecting lines of unequal length or a simple geometric cross can serve as an emblem of the religion as a whole, symbolizing the cross of Jesus Christ’s crucifixion. A symbol also can be a familiar object the artist imbued with greater meaning. A balance or scale, for example, may symbolize justice or the weighing of souls on judgment day. Artists may depict figures with unique attributes identifying them. In Christian art, for example, each of the authors of the biblical gospel books, the four evangelists, has a distinctive attribute. People can recognize Saint John by the eagle associated with him, Luke by the ox, Mark by the lion, and Matthew by the winged man. 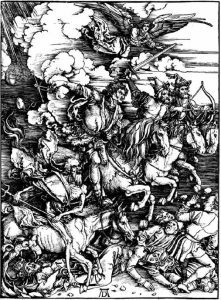 Fig 2 albrecht Dürer, The Four Horsemen of the Apocalypse, ca. 1498.
time when, according to the Bible’s last book, death, Famine, War, and Pestilence will annihilate the human race. German artist albrecht Dürer (1471–1528) personified death as an emaciated old man with a pitchfork. dürer’s Famine swings the scales for weighing human souls, War wields a sword, and Pestilence draws a bow. Even without considering style and without knowing a work’s maker, informed viewers can determine much about the work’s period and provenance by iconographical and subject analysis alone. In The Passion of Sacco and Vanzetti (fig. i-6), for example, the two coffins, the trio headed by an academic, and the robed judge in the background are all pictorial clues revealing the painting’s subject. The work’s date must be after the trial and execution, probably while the event was still newsworthy. And because the two men’s deaths caused the greatest outrage in the United States, the painter–social critic was probably American.